Server installation, accessed via a modern web interface and REST API. Automated scanning of web sites on demand or on a schedule, using Burp Scanner’s cutting-edge web scanning logic. Extreme scalability, able to scan indefinitely many web sites in parallel. Multi-user access, with role-based access control. Integration with CI/CD so you can trigger scans per commit or within your deployment pipelines. Configure details of your organization’s web sites. Schedule scans and view the results. Use a scalable pool of agents to distribute work and grow according to your needs. 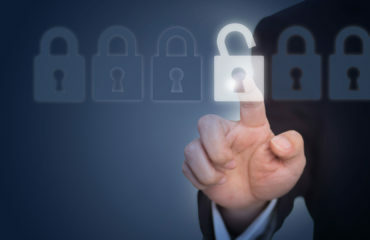 Give access to your team, protected by role-based access control (RBAC). Integrate with your CI system via the REST API. 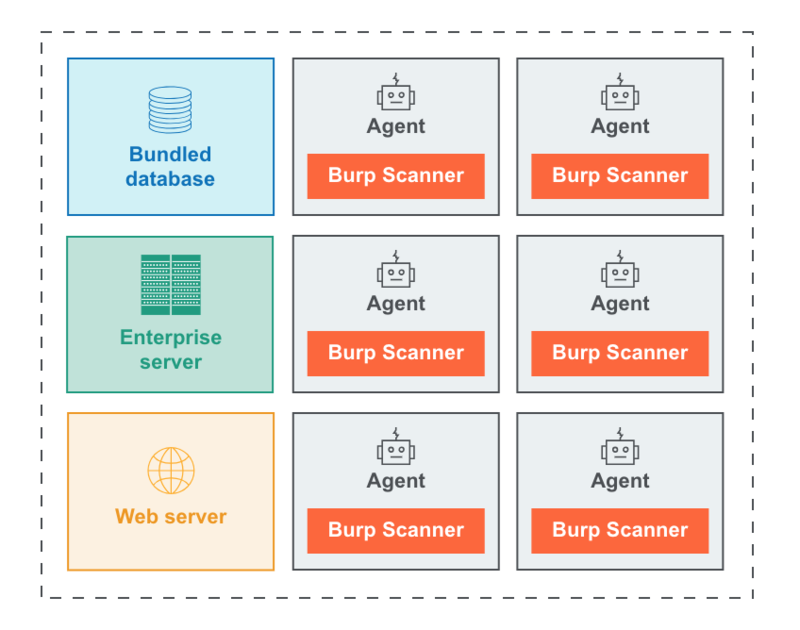 Burp Suite Enterprise Edition uses Burp Scanner’s cutting-edge web scanning logic to uncover dozens of different types of vulnerabilities. 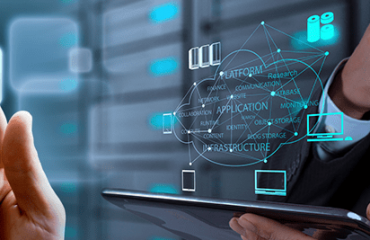 Enterprise server – This coordinates between the other components, manages scan scheduling, and performs software updates. 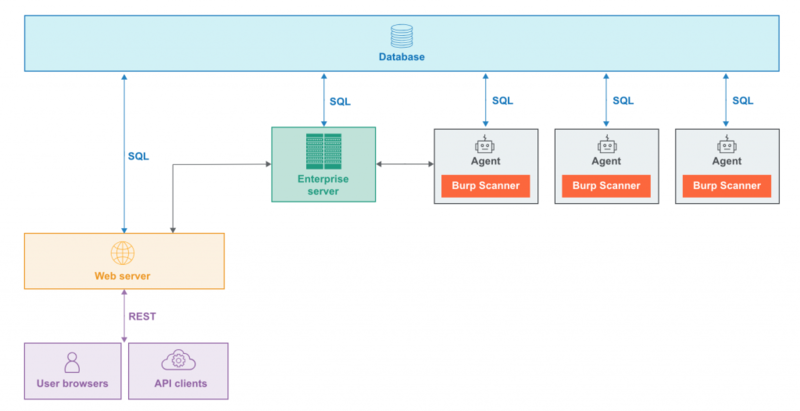 Agents – These carry out scans using an embedded instance of Burp Scanner. 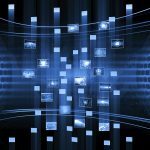 Agents can be distributed across multiple machines, and the pool of agents can grow indefinitely large. Web server – This provides the interface to users, via the web UI and REST API. The web server is installed onto the same machine as the Enterprise server. Database – This provides persistent storage for configuration data and scan results. There is a bundled database which is suitable for evaluation purposes and many production use cases, or you can use your own external database if required. The number of machines needed to run Burp Suite Enterprise Edition very much depends on the scale of your intended usage. Note that the Enterprise server and web server components are always deployed on a single machine. A modern Windows, Linux, or MacOS operating system. It is possible to use different operating systems on different machines within the deployment. The amount of system resources required for machines running Burp Suite Enterprise Edition is highly dependent on a variety of factors, including the nature and extent of the applications being scanned, the numbers of issues that are reported, and the number of active users of the web UI and REST API. The following table provides an indicative guide to the machine specifications that are recommended to ensure satisfactory performance. When provisioning machines, be aware that specifications might need to change later based on the experience of your actual usage. if the bundled database is used. The free space required is not only for the up-front installation. Disk space is used for storage of ephemeral data during scans and product updates. The disk location (configured during the installation process) must reside on locally attached storage, and not be a networked file system. A bundled database that can be installed on the same machine as the Enterprise server. This option can be used to support any scale of deployment provided you have sufficient disk space available (see below). Your own external database. Supported database types are: MariaDB, Microsoft SQL server, MySQL, Oracle, and PostgreSQL. 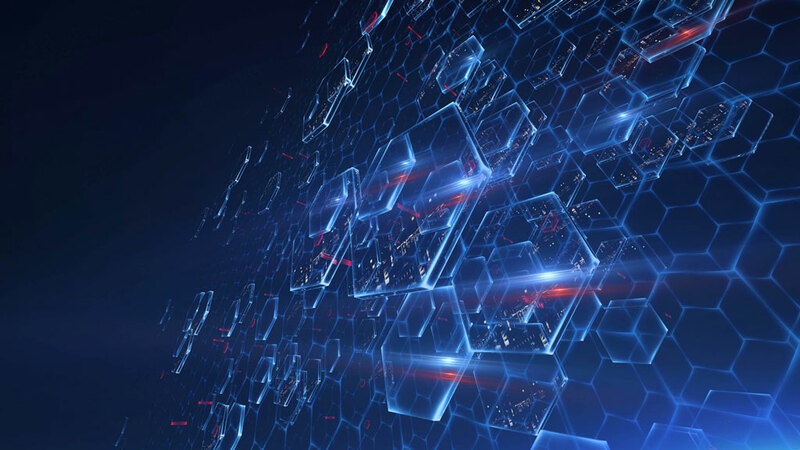 This option lets you utilize any existing database infrastructure that you have, including database backups, and is more appropriate for larger deployments. Most modern machines should be able to use the web UI without any problems. Browsers that are specifically supported and tested are current versions of Chrome, Edge, Firefox, Internet Explorer, and Safari. The recommended minimum screen size is 1080 pixels in the shorter dimension. Smaller screens than this can still use the web UI, but with a degraded experience. A mouse pointer is required to access some features, which appear on contextual controls on mouse hover. The remainder of the UI and the majority of features will still function correctly without a mouse pointer. A dedicated DMZ network is recommended to host the machines on which Burp Suite Enterprise Edition is deployed, but this is not mandatory. In particular, note the requirements below for network access. It might be necessary to configure your firewall to allow the necessary access. Users and API clients need to access the web server on a port that you can select (by default, 8080). The Enterprise server needs to access portswigger.net on port 443, to carry out license activation and software updates. Note that this access is needed for ongoing usage of the software, not only during initial installation. You can configure a network proxy if this is needed to reach the public web. If you install agents on any external machines, these need to access the Enterprise server machine on port 8072. If you use the bundled database, then any external agent machines will need to access the Enterprise server machine on port 9092. 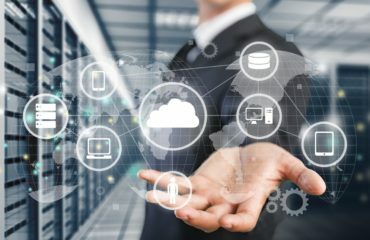 If you use an external database, then the Enterprise server and any external agents will need to access the database service on the configured host and port. 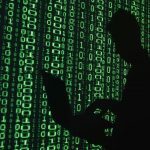 Agents will need to access the sites that are to be scanned (on ports 80, 443, etc. as required). To gain the full benefit of Burp Suite’s out-of-band vulnerability detection technology, agents will need to access burpcollaborator.net on port 443. First, you need to create a dedicated user for the integration to use. Go to the team page, and the users tab, and click “New user”. Give the user a suitable name that identifies the integration. Select the login type to be “API key”. Add the user to a suitable group that has the “Scan initiator” role. When prompted, copy the user’s API key. Keep a record of the API key and handle it sensitively. Download a suitable Burp CI integration for your system. If a Burp CI plugin is available for your CI platform, install the plugin. Otherwise, install the generic CI driver. Configure the integration with the API key. Configure suitable builds in your CI system to make use of the integration. Feel free to contact E-SPIN for your project or end to end requirement and solution consultancy, for the modern DevSecOps, CI/CD systems or integration this DAST with other application security testing (AST) technologies, from static application security testing (SAST), origin analysis / software composition analysis (SCA), mobile application security testing (Mobile AST), export and further vulnerability exploitable testing or penetration testing, secure code review at developer IDE, unit code coverages and so on.